Save the date for CMLA's Denver 2018 Holiday Party at Curtis Ballroom at the Landmark! 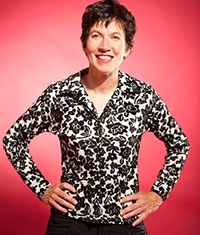 Introducing the CMLA Denver Holiday Party Entertainment: Comedienne Nancy Norton! The Yellowish-Green Girl. In addition, Nancy just recently became the first woman ever to win the Boston Comedy Festival! Win a prize for the ugliest sweater! This year's party is conveniently located just 15 minutes from downtown Denver in The Landmark Village. You won't be disappointed with the panoramic view of the Front Range, cheerful holiday music, drinks, and hors d'oeuvres! Surprise entertainment to be announced soon! Spouses and guests are registered at the same pricing level as the person who is processing their registration. Napkins are to be provided by sponsor.